It’s the most wonderful time of year! It is Christmas time. The season of giving. That means it is also time for our annual 25 Days of Giving. We are excited and expect it, just like every other year, to be a life-changing experience. We have once again identified 25 simple giving-acts that can brighten the life of another person this December. Our calendar, running from December 1st through Christmas Day, features one act of giving for each day. You have the freedom to use the calendar as you see fit. Follow it as it is, move days around, or come up with your own ideas. We created the calendar to give you practical ideas and make it very easy for you to join in. Our hope is that you will participate each day, but we understand that it may be hard for everyone to be involved at that level. If that is the case consider selecting the days that fit best for you. Participate in one day, five days, twelve days, or all 25 days. We just want to you to be involved and take action this holiday season. Our communities need us more than ever. 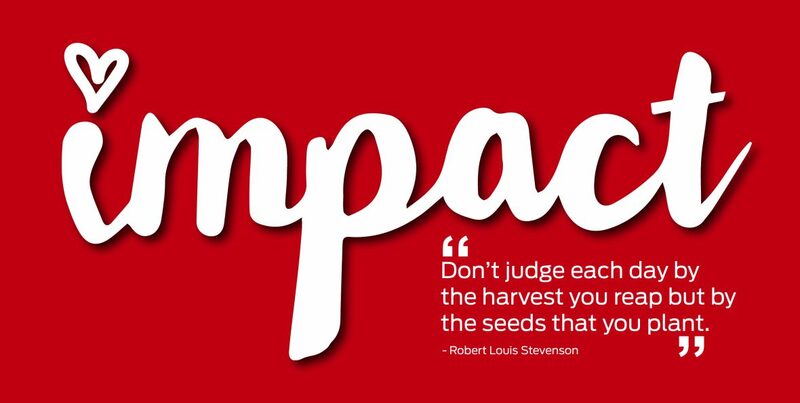 We can make a difference this Christmas through kindness, love and service. We can do that through the 25 Days of Giving. We will share each day’s experience through Social Media and we ask that you do the same. 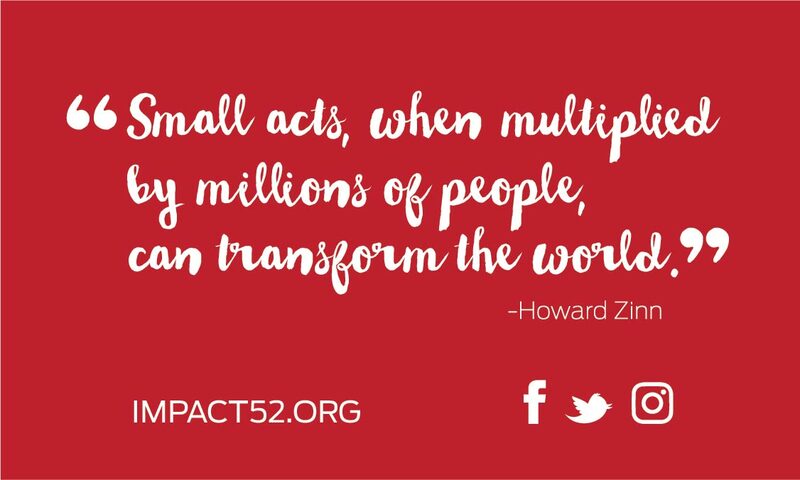 Share your pictures and videos on Facebook, Twitter and Instagram using #25DaysofGiving and tag Impact 52. You can also email us your photos and stories at impact52org@gmail.com. We will compile the stories and images and share them with those who follow our blog. Together was can make this the best season of giving to date. Are you ready? Let’s do it! “My family and I look forward to the 25 Days each year. It is a fun and easy way to make a difference around the holidays.” Kate P.
“I was looking for a way to involve my children in giving around Christmas. 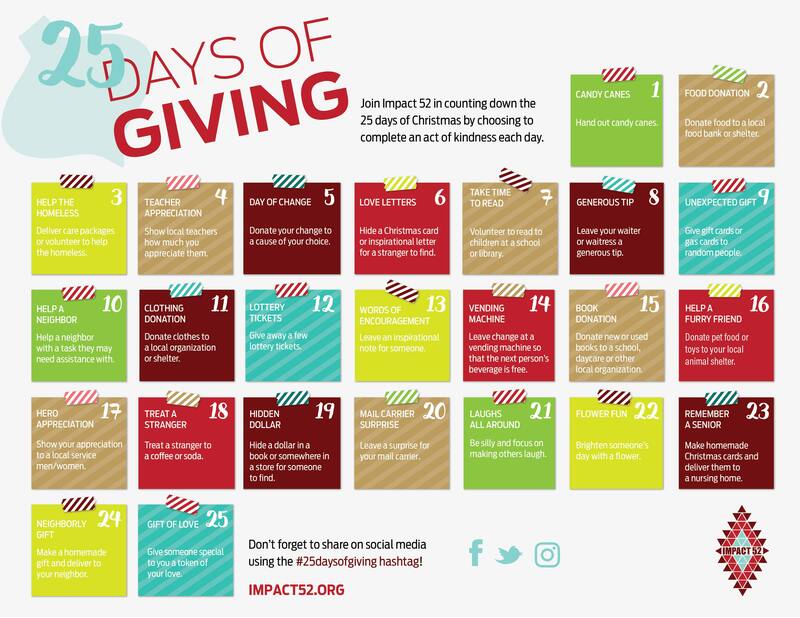 I was excited when I found your 25 Days of Giving calendar and my children have loved it.” Anne W.
“The 25 Days of Giving has become a Christmas tradition for our family.” Don H.
“Thank you for creating the 25 Days of Giving. I have enjoyed watching my children experience the joys that come with giving and helping others.” Jennifer T.
“The 25 Days rocks! We have done it for 4 years and our family really enjoys it.” Pamela G.